The popularity of fruit carving has grown over the years. 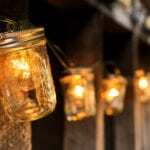 Thought to originate from Japan, China, and Thailand in 1300s it is now practiced by many across the globe. Most artists tend to work with watermelons, pineapples, apples, and cantaloupes. Forget pumpkin carving, this trend is all about the fruit and even vegetables. Who knew playing with your food can be a good thing? Here are some of our favorite fruit carving ideas to get your creative juices flowing. Daniele Barresi is an award-winning fruit carving designer from Italy whose work is mesmerizing and intricate. Fruit isn’t the only medium that Daniele works in he also uses soap and cheeses to carve in his masterpieces. To see more of his work check out his YouTune Channel ‘Let’s carve it’. Japanese artist Gaku practices the traditional art of mukimono, which literally translates to “stripped product”. During the 16th century in Japan mukimono became a popular form of food presentation. 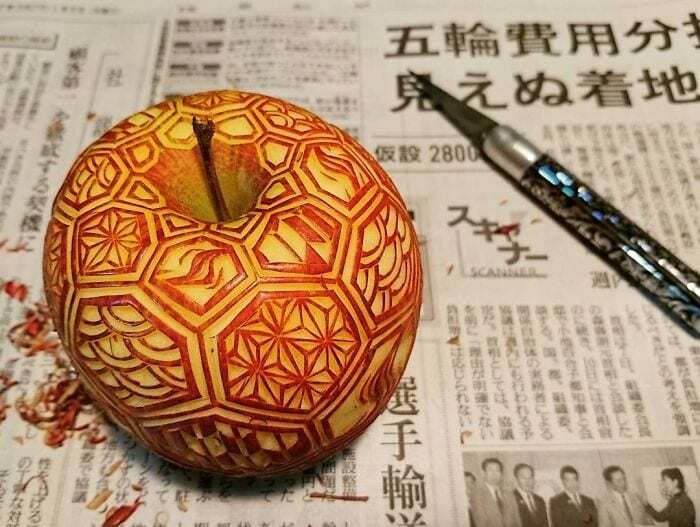 The intricate designs are incredible — how someone is able to carve fruit with such intense details is astonishing. Gaku Instagram account is amazing, it’s full of fruit carved fantasticness! Fruit carving isn’t limited to just the fruit itself. 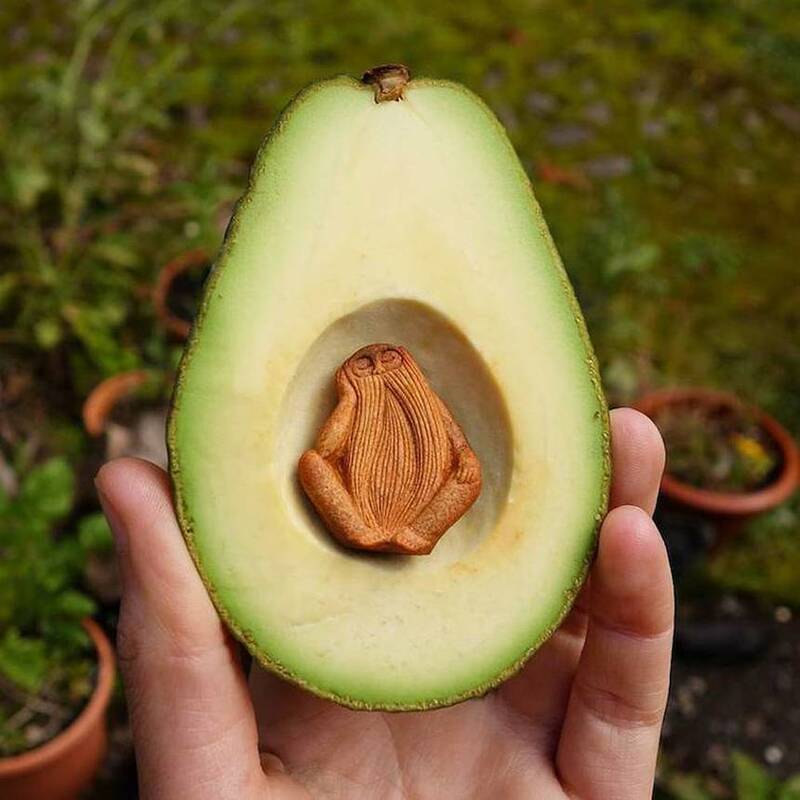 Jan Campbell carves beautiful faces in the stones ofthe avocados. Delicate avocado stones are transformed into fairy-like creatures. The stones make great gifts, a little friend that you can keep in your pocket. 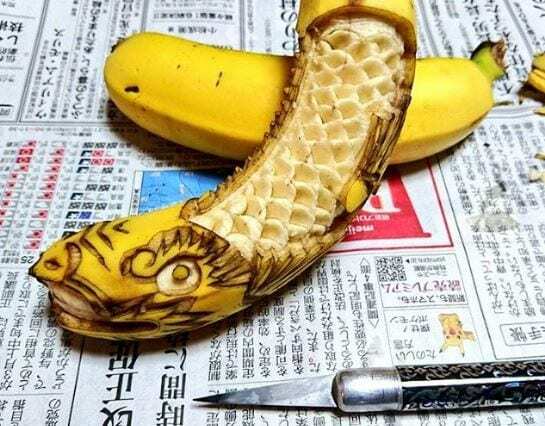 Artist Gaku carved intricate dragon design into a banana is stunning. The brown oxidized skin contracts with the yellow and adds charter and depth to the design. Gaku is one of the most skilled fruit carvers, working with the natural tonality and changes in the fruit as it ages. Dragons are usually from fantasy lands, not the aisle at the supermarket. 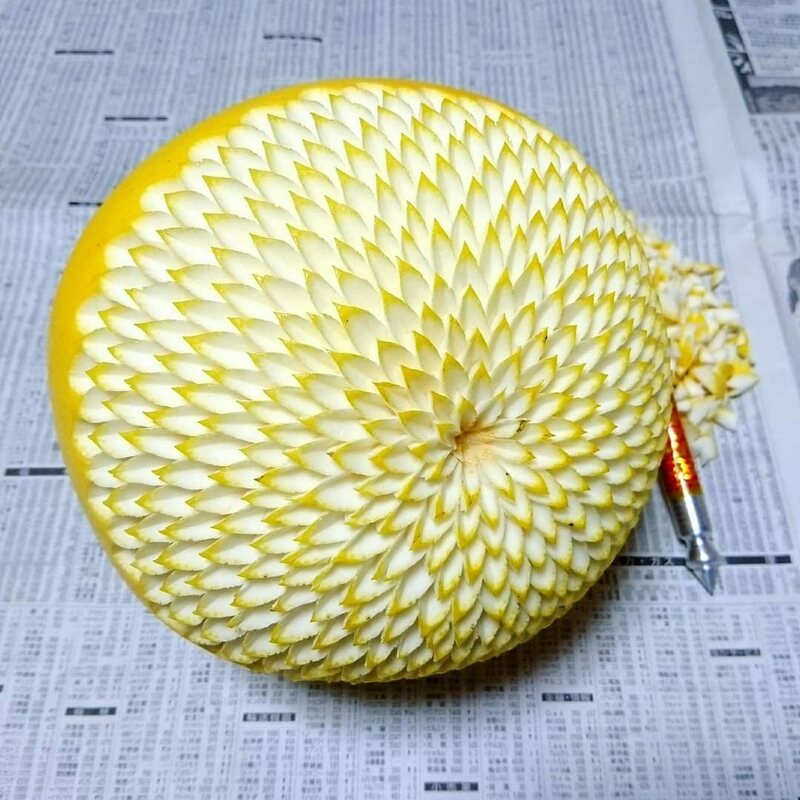 The talented Takehiro Kishimoto has been fruit and vegetable carving for 3 years. From carrots to lemons Takehiro carves them all. It’s incredible to see the intricate designs in Kishimoto’s fruit carvings — do they use a microscope to get those tiny cuts made? Carved lovingly by hand with a sharp, thin knife, the designs are inspired by traditional Japanese patterns and techniques. 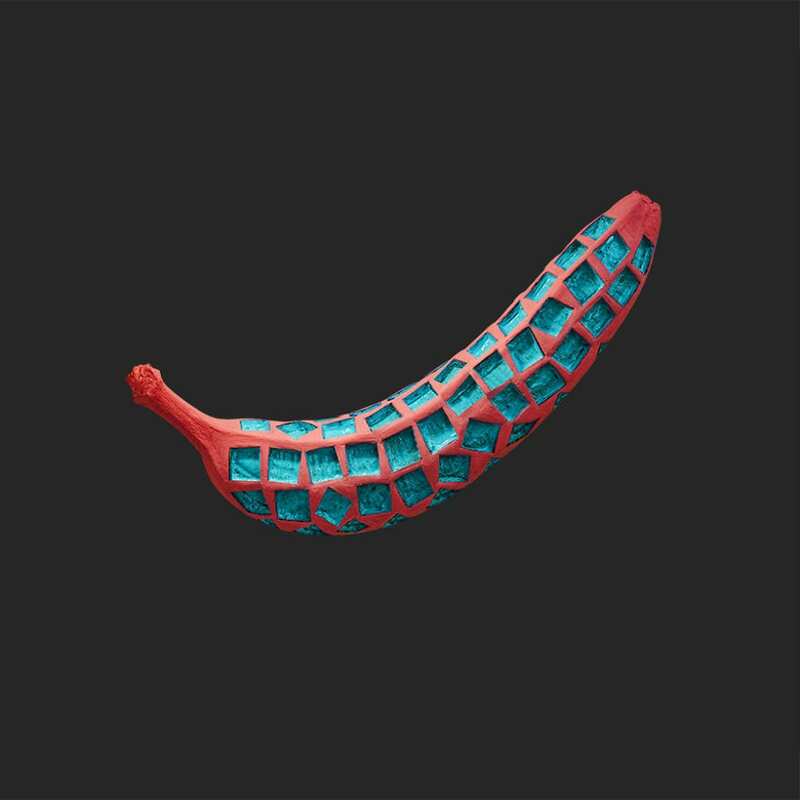 Illustrator Dan Cretu carved modern geometric designs and patterns onto bananas as part of a project focusing on graphic design. The bananas that are carved have a unique pattern to each of them and are painted with bright vivid colors. Cretu is the modern artist of fruit carving. These carvings feel more like a piece of modern art that you’d find in a gallery rather than a banana mostly associated with living in a fruit bowl. Watermelons seem to be the fruit of choice not only are they delicious and pretty to look at, they are great for fruit carving. Watermelons are smooth, easy to slice through and a tasty summer fruit so you don’t mind licking your fingers afterwards. Carvings will look best using a under ripe melon as a very ripe melon can be a bit mushy and hard to work with. Valeriano Fatica has a true passion for sculptures and the arts and he uses his skills and techniques to create extraordinary carved designs. The details, and use of the different colors and textures in the layers of the fruit carving are beautiful. This dragon head carved into a watermelon is a great example of his amazing artistic carving abilities. This watermelon flower carving tutorial for beginners will help get you started in your fruit carving journey. Create this remarkable design in no time at all using just a knife. This would make a would certainly make an eye-catching centerpiece for the table at a dinner party. 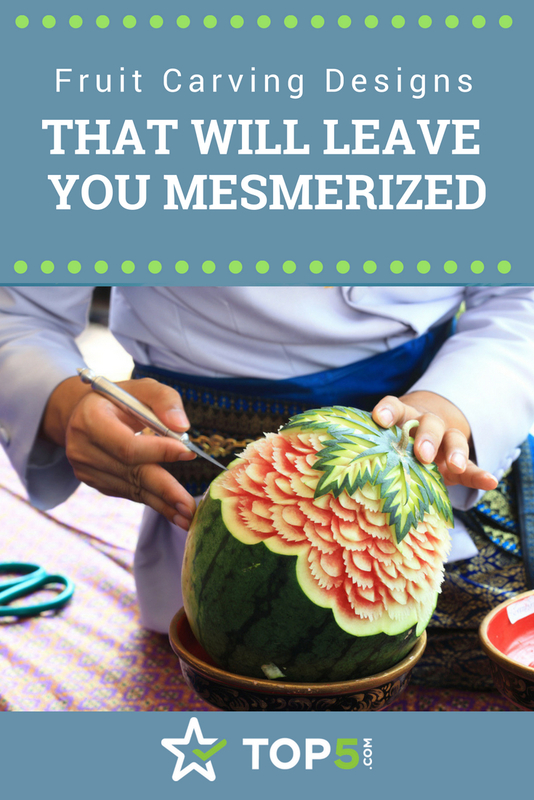 Not only is this watermelon flower carving beautiful it would be a great conversation starter. Are you a fan of Game of Thrones? Yes, then this fruit carving is for you. Taking 18 hours to carve, the leader of the White Walkers has never looked so sinister. Known for detailed fruit carvings Valeriano Fatica designs are not to be missed. 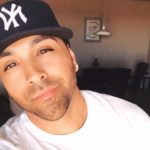 Check out his YouTube Channel for more inspiration. What fruit carving tools do you need? The best tools for the job depends on the style of design that is to be created. Knives for carving must be well sharpened, made with a good metal and have a convenient handle that is easy to use. Using professional tools for fruit carving is highly recommended for the best results. This high-end fruit carving knife set will do just the job. 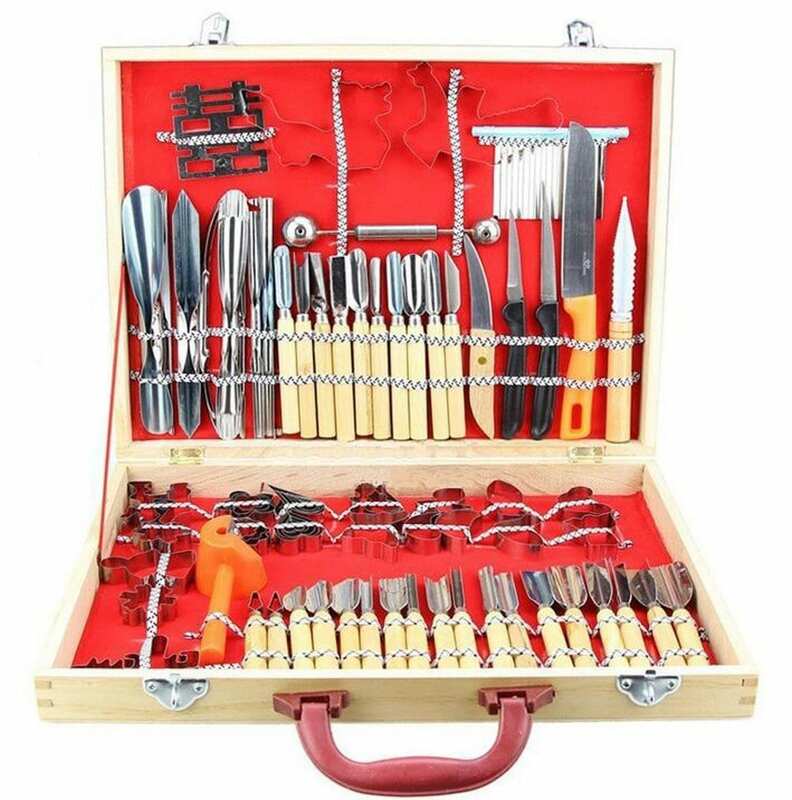 The set included knives, shaped garnish cutters, peelers and melon ballers all packed in a nice wooden case. Once you have your chosen the fruit and got your sharp fruit carving knives, you’re ready to go! 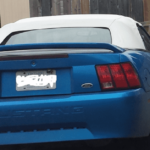 There are two types of carving that can be done. The first is carving the outer skin layer of the fruit to reveal the fleshy center. The texture and color contrast of the firmer skin with the fleshy inside showing through adds to the overall look of the design. 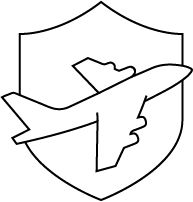 The second type of carving is three-dimensional carving. 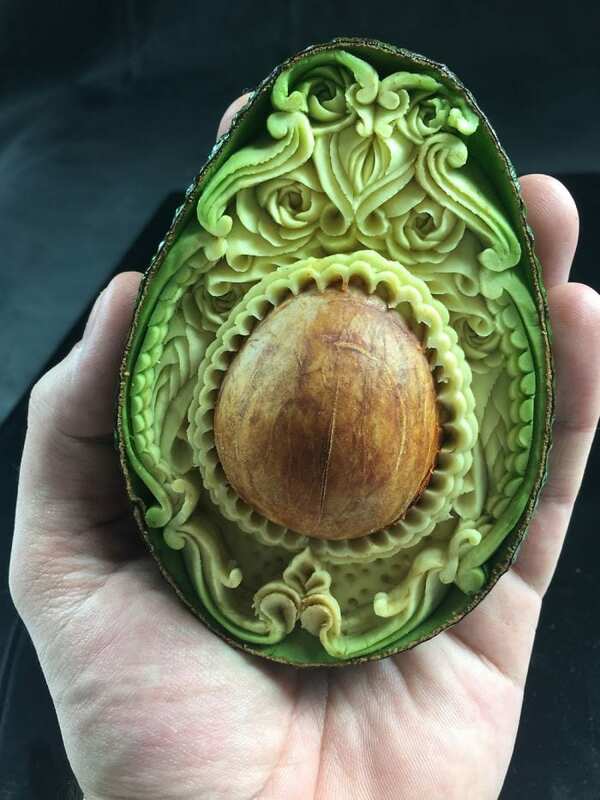 This technique requires you to carve deeper into the fruit to create a three-dimensional design of your choice. Watch this tutorial on how to create watermelon roses.The results are truly spectacular. With a bit of practice, you will be creating your own fruit carving designs and table centerpieces in no time. The carvings look best on the first day however, the designs will look good for about a week. 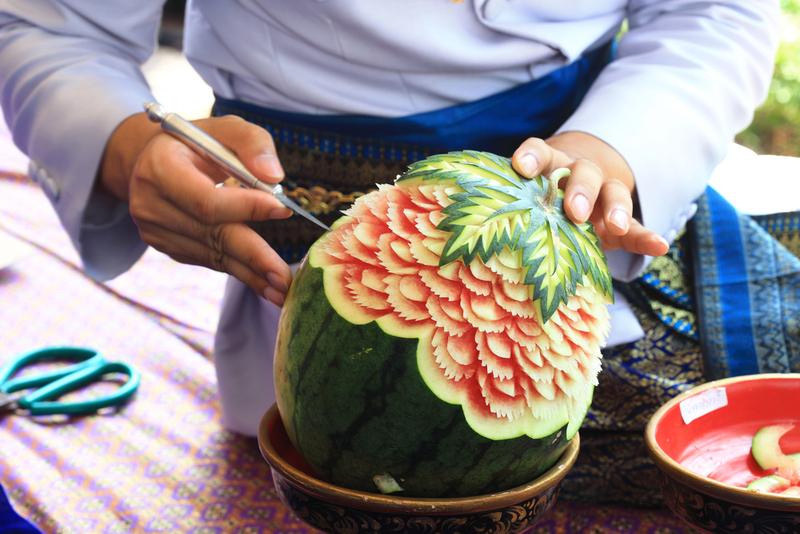 To preserve the carving for as long as possible, spray water on the melon when you’ve finished as it can dry out. Before putting the fruit in the into the refrigerator cover with damp paper towels and seal in an air-tight bag. Check out our Pinterest board for more inspirational fruit carving ideas that you will make you want to get out that carving knife. Make sure to practice with your fruit carving, honing those skills in for this fall when pumpkin carving starts! Do you want to try fruit carving? Tell us in the comments below or share with us a pic of your beautifully carved fruit designs on social media, just tag @topfivecom and, #topfivefruitcarving.